We have, upon occasion, talked about the P.O.P. Culture that we strive for here at Agora. Today we want to share with you another perk we have adopted in striving for a People Over Profit Culture within our firm. It is Monday morning, the arrival of Friday seems like an eternity, you roll out of bed fighting the desire to stay tucked in a bit longer. At the foot of your bed is your pup, snoring softly. 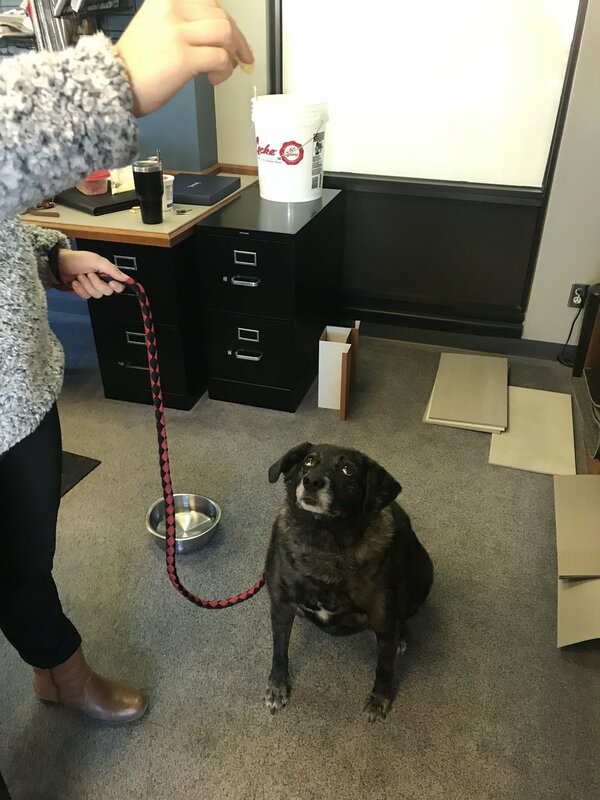 You get around and ready for the day, put on warm clothes for the chilly winter morning and on your way out the door you grab your pup’s leash and your pup to take them on an adventure… TO YOUR WORKPLACE! Seriously though, we have started Bring-Your-Dog-To-Work-Monday. We each rotate who will bring their dog next. With their dog they can bring their favorite toy, a bed and of course, their water bowl. It really has been fun! Every time you get up from your desk to deliver news across the office, there they are waiting for some eye contact and a quick snuggle! One of our concerns in starting this was that maybe the dogs would be a distraction, but with the well-behaving dogs we have had, it has been the opposite of a problem. We have actually noticed that everyone seems to be a bit more at ease with a pooch around. People smile when they see the furry-friend, and they get visited at their desk a few times a day and get to take a quick mental break that can break the cycle of natural stress. Most of the time, the dog finds a spot to lie down and you can easily forget they are there. 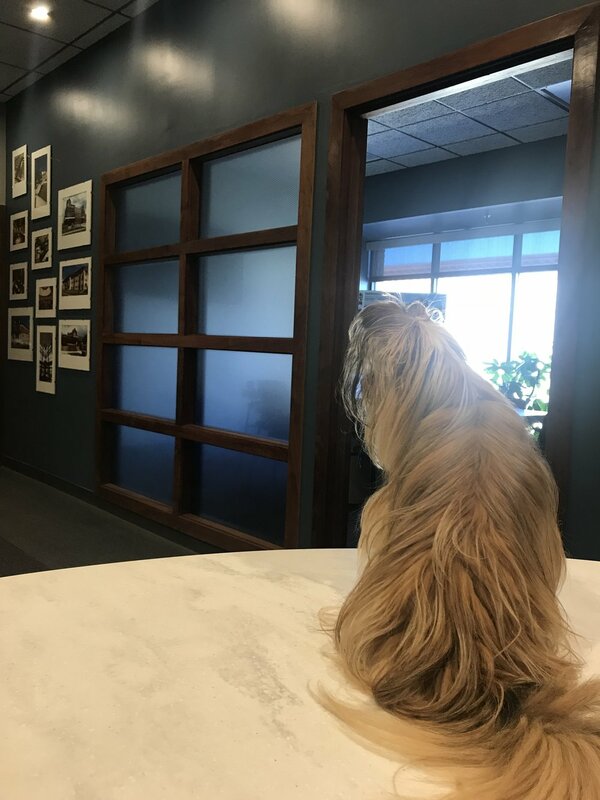 We have large windows on nearly every wall within our office and the dogs we have had at work so far love to look out the windows – sometimes for hours. We have also noticed that until Wednesday morning our doggy visitor sleeps ruthlessly after going home – I guess we are wearing them out with all the fun and excitement! What is a policy that you have in your workplace that promotes a healthy, fun, and positive environment? Email info@agoraarchitecture.com with your ideas! 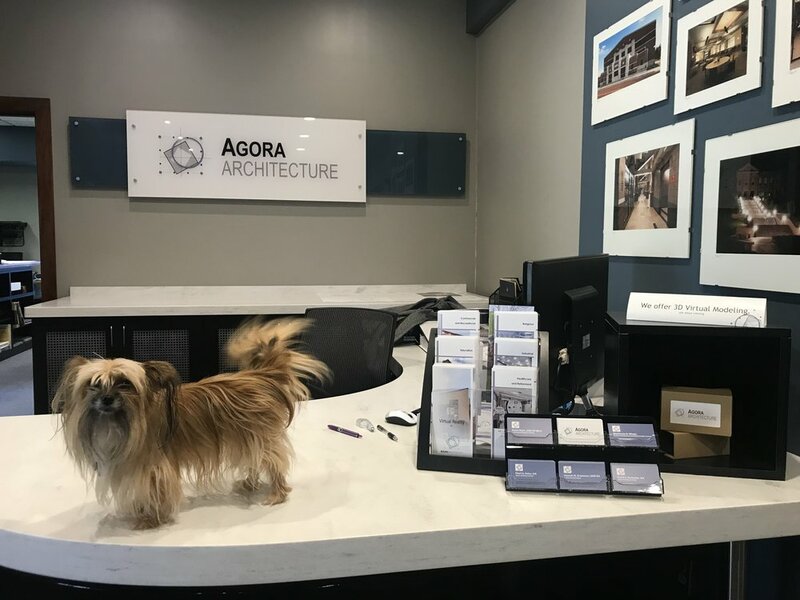 Written by MacKenzie Witzke, Business Manager at Agora Architecture.